Personal and Advertising Injury, often called Coverage B, is automatically included in a general liability policy. This coverage provides valuable protection against claims alleging libel, slander, and various other offenses. Coverage B covers damages levied against the insured because of personal and advertising injury. The latter is a defined term that includes seven groups of offenses. Only these offenses are covered. Claims that result from offenses (such as patent infringement) not included in the definition of personal and advertising injury aren't covered. To be insured under Coverage B, a claim must seek damages for personal and advertising injury caused by an offense that arises out of your business. The offense must be committed in the coverage territory and during the policy period. No coverage is afforded for an offense that arises from material you published prior to the policy period. Coverage B is much narrower in scope than Coverage A, Bodily Injury and Property Damage Liability. Coverage A is quite broad. It covers virtually any claim for bodily injury or property damage caused by an occurrence if the claim isn't subject to any exclusions. The offenses insured under Coverage B are types of intentional torts. Intentional torts are deliberate acts that cause some type of injury. The injury may be physical, psychological, or financial. For example, suppose that you own a grocery store. Tim, a customer, is shopping in your store when you observe him stuffing something into his pocket. Believing Tim is shoplifting, you grab him by the arm and force him into a back office. You detain Tim against his will for two hours while you wait for police to arrive. The police determine that Tim wasn't shoplifting and that the item he stuffed into his pocket was his cell phone. Tim later sues your business for false imprisonment, contending that you illegally confined him against his will. He demands $10,000 in compensation. False imprisonment is an intentional tort that's covered under Coverage B. Tim's claim against you should be covered by your general liability policy. Other examples of intentional torts insured under Coverage B are malicious prosecution and wrongful eviction. Note that Coverage B covers intentional acts that result in unintended injury. It does not cover acts you commit with the expectation of causing harm. In the previous example, suppose you detain Tim knowing that he hasn't stolen anything. You simply want to cause him grief. If Tim sues your firm for false imprisonment, his claim will not be covered. In the past, liability policies divided Coverage B offenses into two categories: (1) those committed in the course of advertising activities, and (2) other offenses. The offenses in the first group were called advertising injury while those in the second group were called personal injury. In the mid-1990s, the two groups were combined. Nowadays, most liability policies (including the ISO policy) refer to all covered offenses as personal and advertising injury. Coverage B is intended to cover advertising and publishing activities your company performs on its own behalf. It does not cover such activities you perform for another company. If you are in the business of advertising, publishing, telecasting or broadcasting, you need specialized insurance called media liability coverage. Besides media companies, Coverage B also excludes companies involved in certain Internet-related activities. These include Internet search companies, Internet service providers, and companies that provide Internet content. If your company performs these functions, you need errors and omissions coverage designed for your type of business. Knowing Violation of Rights. Coverage B is designed to cover intentional acts that cause unintended harm. If specifically excludes any offense you committed if you knew, at the time you committed it, that it would violate someone’s rights and cause injury. Publication With Knowledge of Falsity. False statements you published verbally or in writing are excluded if you knew they were false when you published them. Contractual Liability. Coverage B excludes liability for personal and advertising injury you assume on behalf of someone else under a contract. Breach of Contract. Claims that arise from your failure to adhere to the terms of a contract aren't covered. However, coverage is afforded for breach of an implied contract to use someone else's advertising idea in your advertisement. Statements About Price or Quality. Coverage B excludes false statements you make in an advertisement about the price or quality of your product or service. For instance, you publish an ad stating that your business, Best Buns, uses 100% organic ingredients in all of its products. If a customer sues you because the muffin she bought contained no organic ingredients, the claim won't be covered. Intellectual Property. No coverage is provided if you infringe upon someone else's copyright, patent, trademark or trade secret. 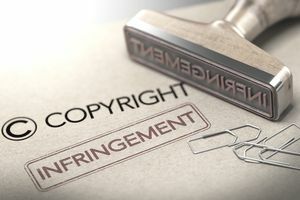 However, an infringement, in your advertisement, of someone else's copyright, trade dress of slogan is included in the definition of personal and advertising injury. Chatrooms, Bulletin Boards, Unauthorized Use. Claims that result from your Internet chatrooms or bulletin boards, or your unauthorized use of someone's email address or domain name are excluded. War, Pollution, Certain Laws. Coverage B excludes war, pollution, and violations of the Telephone Consumer Protection Act and the CAN-SPAM Act. The TCPA prohibits certain marketing solicitations via telephone or fax. The CAN-SPAM Act applies to unsolicited emails. Coverage B is subject to a Personal and Advertising Injury limit, which is the most the insurer will pay for all damages assessed against any one person or company. Damages or settlements paid under Coverage B are also subject to the General Aggregate limit in the policy. If you are sued for an offense that's covered under Coverage B, your insurer will defend you. The costs related to your defense will not reduce the limits cited above. In other words, your defense costs will be paid in addition to the limits. What Are Defamation, Libel and Slander?